Now more than ever, the Queens Museum welcomes many communities. Published on Monday, August 14, 2017. This article appears in the August/September 2017 issue of American Craft Magazine. 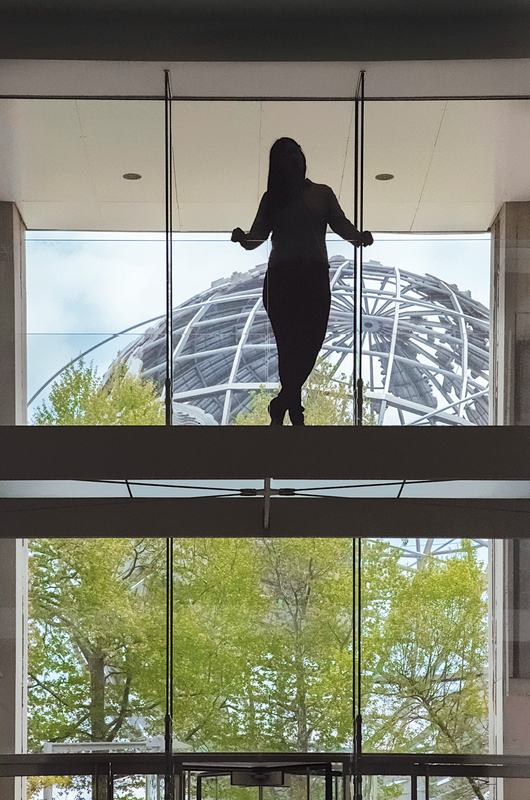 Laura Raicovich, executive director of the Queens Museum, stands on the Panorama of the City of New York built for the 1964 World’s Fair. When Laura Raicovich told her father she’d decided to double-major in art and political science at Swarthmore College, he flung up his hands in despair. What would she ever do with that? 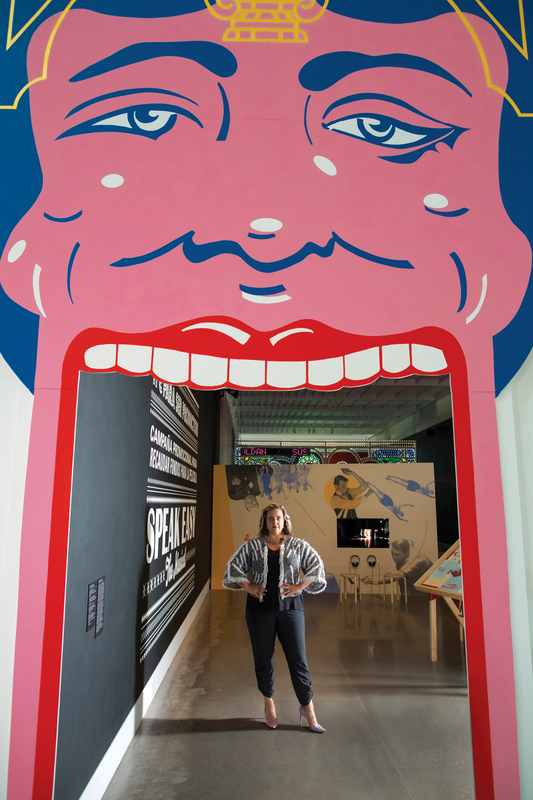 More than two decades later, she serves as the Queens Museum’s president and executive director, and in this role, she not only manages a permanent collection and dynamic exhibition schedule but also oversees an innovative and unapologetically activist approach to community engagement. 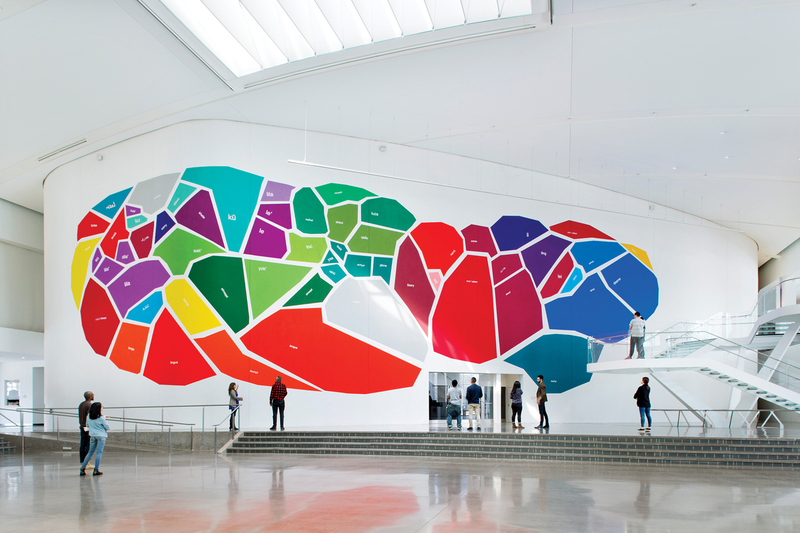 Raicovich’s approach has radically shifted how the museum – and, increasingly, the broader art world – views the role and function of a cultural institution in the 21st century. 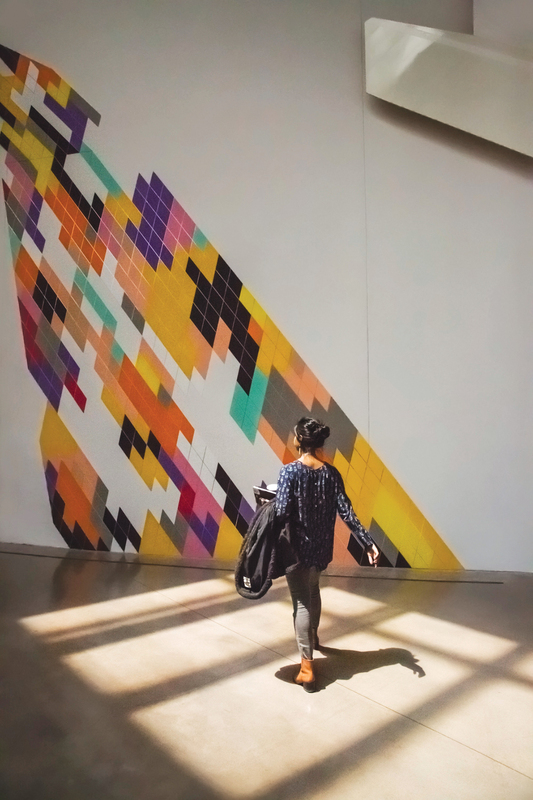 She has expanded the innovations of her predecessor, Tom Finkelpearl, now New York City’s cultural commissioner, with her own unique vision of how a public institution might create space, connect people and communities, and stay relevant. We caught up with Raicovich one spring day at her museum, the only public art museum in the US in a public park, in one of the most ethnically and linguistically diverse neighborhoods in the United States. She showed us how the museum is finding its community and how it designs programs, shares resources, and creates moments of joy. The political and cultural landscape has changed dramatically in the last six months. What has changed in the museum’s community engagement work since then? We happened to have an all-staff meeting scheduled for the day after the election. It was rather difficult. There were a lot of tears in the room. There were a lot of people who just didn’t know what was coming, and there are a lot of vulnerable populations represented on my staff. Five percent of my team is undocumented and works for us via DACA [Deferred Action for Childhood Arrivals]; I soon found out that no other similar institution has this issue. So we decided to meet more frequently for the next couple of months, and we collectively reaffirmed and coauthored our values just to say them out loud, because I really felt strongly in that moment that, at one point or another, we were going to be taken to task for why or how we do what we do. The community organizers [on our staff] have had to shift strategies radically, because there’s so much fear in the neighborhoods around the museum. People are afraid to leave home. So the community engagement team has come up with this brilliant plan to go back to block-by-block organizing and doing different events in people’s homes. Even before the election happened, last spring, when there was this upsurge in anti-Muslim rhetoric, our education department pivoted and said, “Look, we work with a lot of communities that are either partly or predominantly Muslim, and their kids are really being affected. We need to come up with some kind of curricular intervention that’s going to support those kids.” And so they did that. How have you and your team gotten to the point where this degree of community involvement is just standard procedure? About 12 or 13 years ago, Tom Finkelpearl had the brilliant foresight to hire a community organizer to work at the Queens Museum. And that was the first time a museum of any kind in the United States hired a community organizer to actually be on the staff. The idea was we have a lot to learn from the communities that surround us, and it’s not about outreach or bringing something that they need to them; it’s about really being in a more co-creative role and understanding what we can share with one another. That point of departure has dictated a lot of where we are today. Like Tom, I remain enormously committed to having a very diverse staff. And I think that that is ground zero for achieving how you do this, where inclusion isn’t about, “We need to get those people in here,” it’s like, “We are those people.” We’re not the Guggenheim or MoMA with these incredibly valuable collections. Our collections are great, but our real assets are the people who work here and the way they engage with the world and what that enables us to do. You’ve said in the past that you serve an unconventional contemporary art audience. How do you approach access? Access is really about identifying the various registers in which we need to make a connection. One register is curatorial. 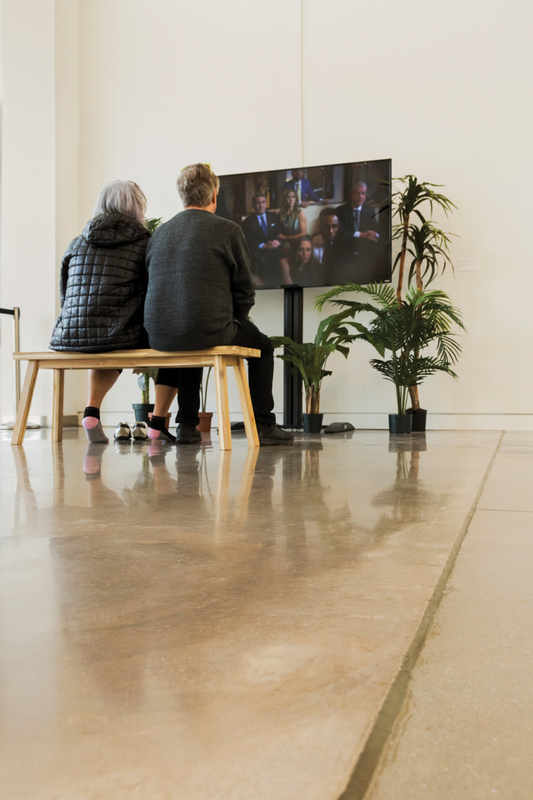 Our curators are very aware that a lot of the people who come to our museum don’t necessarily visit other contemporary art organizations on a regular basis, so they make their explanatory texts for people outside the traditional museum audience. It’s not about “dumbing down”; it’s about just being intentional about selecting language that makes sense. Another register happens through the community development piece and through thinking about who we can be partners with. If you’re a public institution, you want to reach the public. I really love this idea of undoing the expertise of the museum, that actually every person who walks in here is an expert and can question our own expertise. It’s the authority of a museum that makes people feel like they don’t belong there, so if you undermine your authority, even just a little bit, it signals that people are welcome. Queens Museum isn’t your typical neighborhood museum. Why is that? I don’t see a conflict in being a place that is hyperlocal in the context of Queens, because everything that’s hyperlocal here is profoundly transnational, because everything interconnects in ways that are about local commerce or people importing stuff from their home countries or just talking to friends and family, sending money back home, and so on. So I think this is a very material difference in how this institution relates to the wider world. Tell us about some of the unique permanent features. The New York City panorama was commissioned by Robert Moses for the 1964 World’s Fair, and it was built by an architectural model-making company. It was updated in 1992 and somewhat piecemeal until recently. It’s an incredible tool – this 10,000-square-foot model of New York City that maps nearly every building on its surface and that you can walk around – and it’s always functioned as a tool. It was a tool in 1964 for Robert Moses to show off all the bridges and tunnels and highways that he built. And it’s also incredibly useful for the way that we understand our city and the urban issues that we must contend with, which in recent years have become more pointed – the gentrification and other contemporary issues that are deeply felt in New York City right now. I always go back to something that happened long before my time, right after the financial crisis of 2008 broke out. An artist and urban planner named Damon Rich did this incredible project where he painted these little plastic triangles hot pink and put them on all of the buildings that were in foreclosure because of the crisis. Even if you didn’t understand what a credit-default swap was or what the machinations of this global financial crisis were, you could understand foreclosure, and you could see where the buildings in foreclosure were clustered in the city. That was really poignant. The panorama can make things material that are otherwise pretty ephemeral. There was another project that happened some time ago as well, before [Hurricane] Sandy, that showed the water levels around New York, and where the ocean and rivers might be over time. Probably it’s time to revisit such a project. We also have a watershed model that was made originally for the 1939 World’s Fair, that shows where New York’s drinking water comes from. 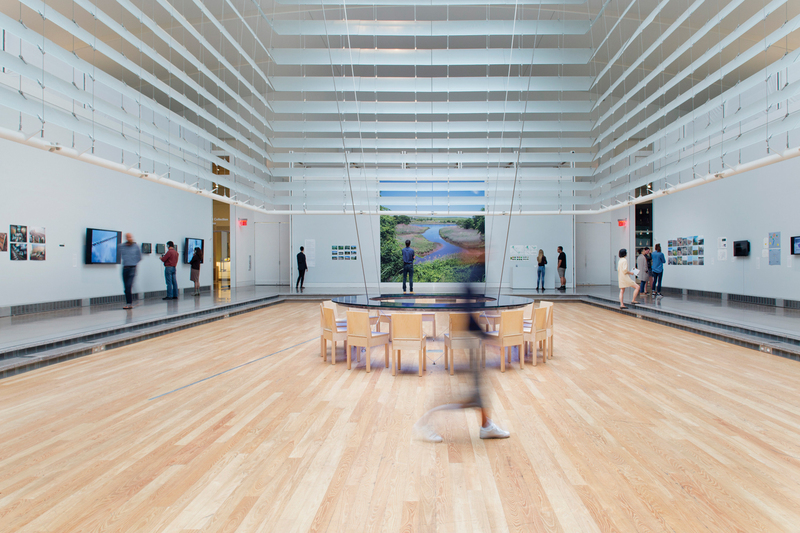 For me, water justice and climate issues are among the most pressing, so we’re using that gallery to deal with those issues as artists see them. The prospect of a library adds another layer to that, and this is where I really see things coming together. [Editor’s note: The museum plans to house a public library branch, scheduled to open in 2019.] There’s only so far you can go in a gallery. But imagine if the library were here, with resources not only showing what these things really mean in the world but also explaining how to get involved locally. 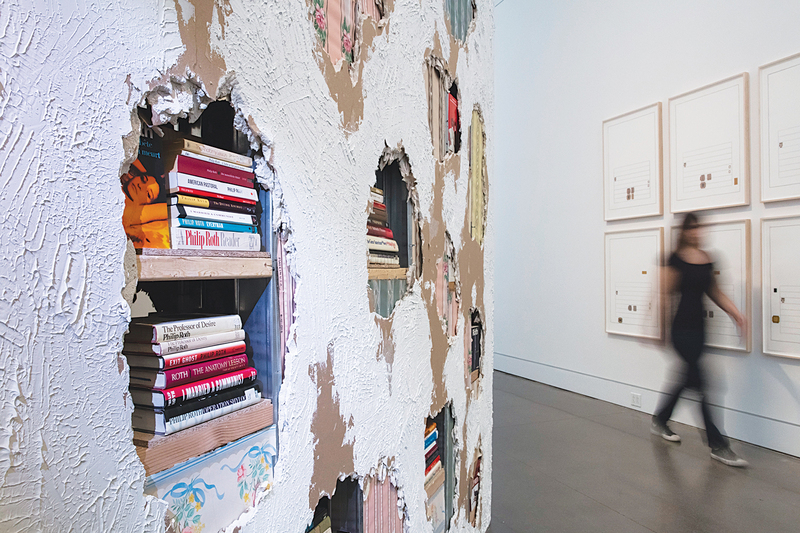 Another powerful way of expanding access is to shift the way we view the canon of art. What are some recent exhibitions that do this? Anna K.E.’s work (an installation dealing with feminism, artistic production, and institutions) certainly does that, but also with “Nonstop Metropolis,” [a “creative mapping” project headed by writer and activist Rebecca Solnit], we invited lots of different players to the museum to see what they came up with, and that’s a project that can get kind of messy. The willingness to be a little bit experimental and see what comes out of it also translates to the audience, and it becomes a way of saying, “This is just an experiment. It can fail.” That liberates them, too, to come up with their own ideas about why something is there or what an artist is talking about. I hope that a museum can be not only a place where you come to experience moments of respite or joy or learning but also a place where you can come to be creative. We had this show about six months after I started, with one tiny gallery full of collages and poetry and writing by Robert Seydel. People walked through the gallery spaces, and they were like, “Oh, that pile of junk I was accumulating on my desk, I could actually make an artwork from it!” And just that possibility, that slippage between who’s an artist and who isn’t, that’s also very powerful. In the past, so-called political or activist art was considered less aesthetically pure, but that has very much shifted in recent years. How does Queens Museum fit into that movement? Since the dawn of civilization, people have always made art about their contemporary conditions. What are the cave paintings about? They are about telling a story about what’s happening to that particular group of people. I don’t think that’s shifted, really. Bryan Zanisnik’s Philip Roth Presidential Library, part of a recent group show. Teacher B.J. 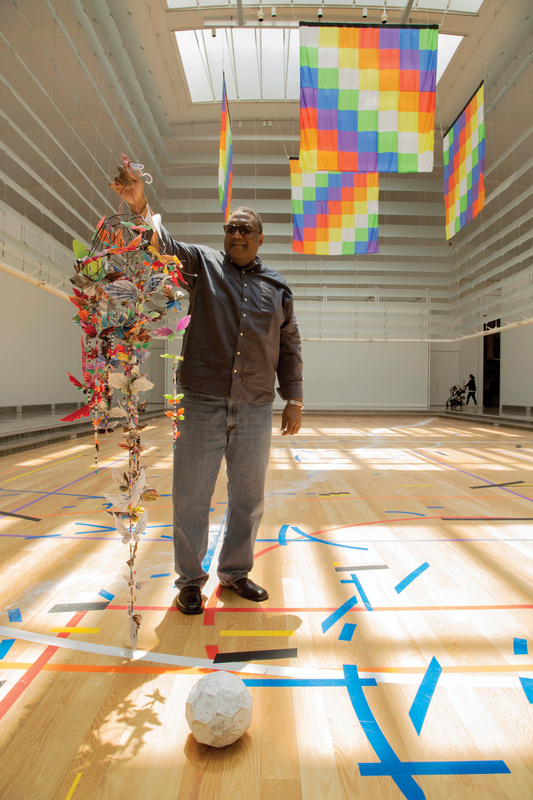 Daniels shows off a mobile by his Brooklyn students. On the floor is Ronny Quevedo’s No Hay Medio Tiempo/There Is No Halftime. The design reflects the area’s popular soccer, basketball, volleyball, and handball courts. Mierle Laderman Ukeles’ Peace Table, made of blue glass, hangs in the museum’s central atrium. 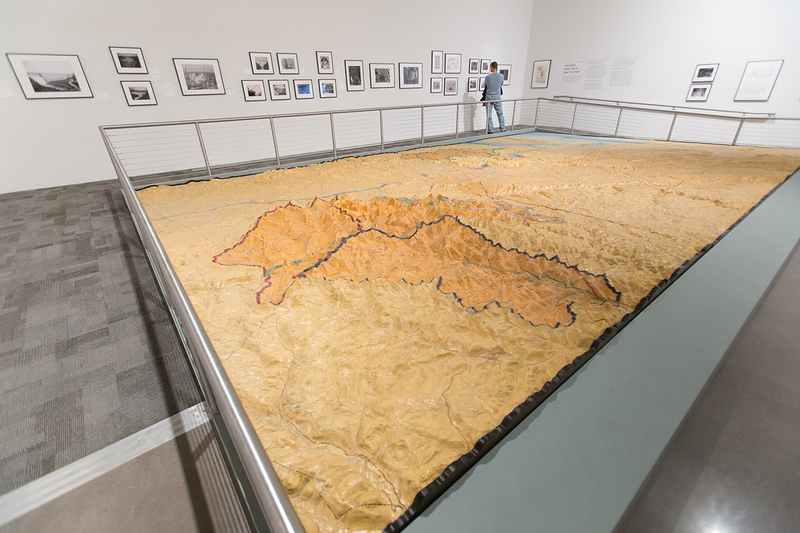 The Relief Map of the New York City Water Supply System, created for the 1939 World’s Fair, was refurbished in 2008 and now resides in the museum on long-term loan. 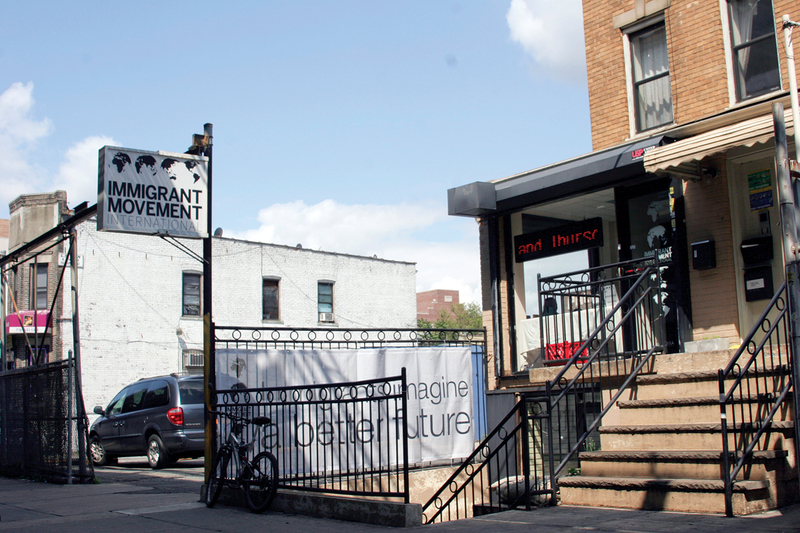 The museum partnered with Tania Bruguera’s Immigrant Movement International a hybrid social-practice project a few blocks from the museum. 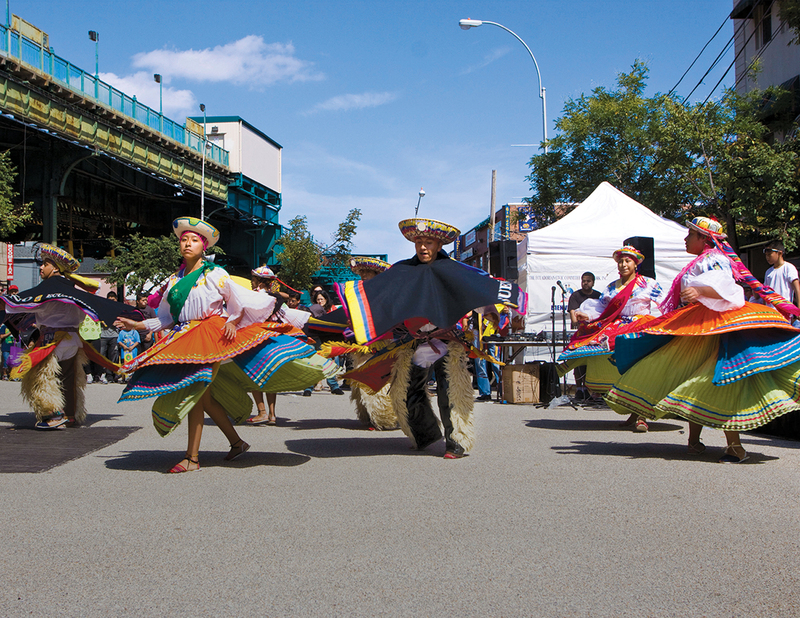 A street festival celebrates one of the many cultural traditions in Queens, one of the most diverse communities in the world. Raicovich at the funhouse-style entrance to the exhibition “Piazza Universale/Social Stages” by Italian artist Marinella Senatore. Raicovich relishes serving a community that’s both local and global. The museum sits across from the classic Unisphere globe, still standing on the site of the ’64 Fair. The Garden of Forked Tongues by Mariam Ghani with Josh Begley uses polygons to represent 59 vanishing languages still spoken in Queens. Another component of Profound Approach complements the play of light and shadow. The Queens Museum offers an antidote to stiff museum experiences. 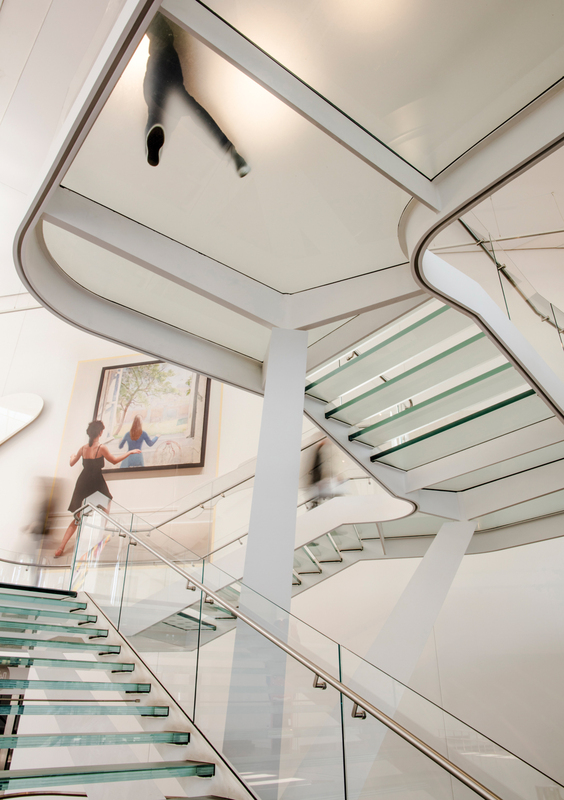 Visitors kick off their shoes, if they like, to view world-class art. The ghostly silhouette of a visitor seems to hover on an upper landing. Below, a partial view of Anna K.E.’s Profound Approach and Easy Outcome, for which the artist photographed herself in front of masterpieces.